I know it has been a while since our last blog entry and our only excuse is that the weather has been just too NICE to sit inside and write on the computer. 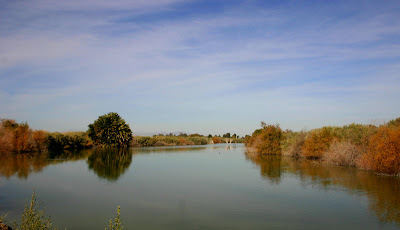 After our last entry, we stayed another week at Sunbeam Lake RV Park in El Centro. The weather was mid-70s during the day and low to mid-40s at night. The winds for the most part were light and variable. The days were clear except for a “burn day” when the farmers in the area were burning the stubble in the fields. Sunbeam Lake is actually two lakes connected by drainage pipes. The larger of the two lakes is a developed area with a bike path and picnic tables all around the lake. The second lake is undeveloped surrounded by fields and interstate I-8 at one end. We got in the habit each morning of taking Raider for a walk around the two lakes. The path around the undeveloped lake was a dirt road bordering the fields. In this area we would let Raider run off lead, something that he loves to do. After running around the undeveloped lake he was perfectly happy to just walk around the developed lake on lead. The total distance was just less than 3 miles. The birds on the developed lake were primarily Mallards and American Coots with a few American Kestrels, Northern Flickers, Mourning Doves, and White-crowned Sparrows. The birds of the undeveloped lake were primarily Double-crested Cormorants and American Coots with Black-crowned Night Heron, Green Heron, Roadrunner, Abert’s Towhees, Yellow-rumped Warbler and large numbers of Cattle Egrets in the adjacent fields. Our daily routine was to surf the Internet first thing in the morning to catch-up on the blogs of our travel friends, eat breakfast, take Raider for his walk around the lake, eat lunch, a “project of the day” and 4 PM happy hour as we watched the sunset which always happened by 5 PM. Yes, this retired life is very busy. The “project of the day” might only be to get groceries, or do laundry, but also included several things we have been putting off around the trailer. Yes, even when living in a RV there are still “Honey do” lists. My most ambitious project was to run a second cable between the satellite dish and the DVR. This involved drilling holes in the floor and walls. Something I would never have done in our stick house. Both Kathy and I are amazed at the “handyman” things I have tackled since moving into the trailer. 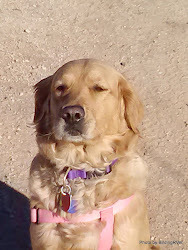 After our week in El Centro we moved to Quartzsite, Arizona. Every January it turns into a RV Woodstock! Quartzsite is a very small town surrounded by miles of BLM land that offers free, no hookup camping on the desert. Each year during the third week in January there is a big RV show in here. Along with the 6 permanent “flea” markets there is nothing for an RV that you can’t find in Quartzsite. It is also known for it’s gems and stones. There are more places to buy beads here than anywhere! 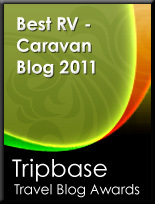 It is also the premier RV social event of the year. At its peak next week there will be tens of thousands of RVs camped on the desert, for a 10 mile radius in all directions. 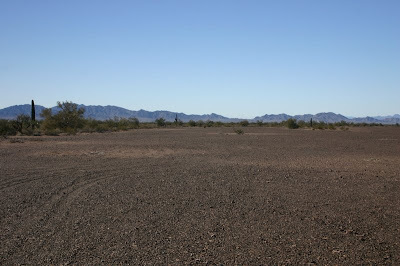 I think every known RV group has a rally site in the desert near Quartzsite during this week. Our Montana Owners.Com (MOC) group is no exception. With all of these RVs and groups there is a need for some people to arrive early to “stakeout” an area big enough for the expected number of RVs. Our MOC group is expecting 30 to 40 trailers to show up so we need a fair amount of space. We joined 6 other MOC couples to secure the space on Saturday. As the week continues each day a few more rigs are added to the MOC circle. One of the advantages of arriving in Quartzsite early is that not only do you get to watch the desert transformation from open space to thousands of RVs, but, you also get first crack at the vendors to spend money. The weather here as been very similar to El Centro, mid to upper 70s and lows in the high 40s. Unlike last year there have been no high winds or rain. This is probably Raider’s favorite camping spot, because the entire time he is here he can be off lead. Not only that, but he has dog buddies (owned by the other MOC people), that he can hang out with. The only downside is that the desert here is an all volcanic rock surface. All of the dogs are limping after a day or two here and it general takes them another day or two for their feet to get toughened up to the rocks. After that they don’t seem to notice it. El Centro is near the eastern edge of the Pacific Time zone, so sunrise and sunset both came early. Sunrise was about 7 AM and sunset always being just before 5 PM. 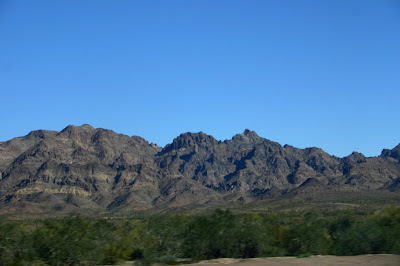 Quartzsite is at the western edge of the Mountain Time zone, so sunrise and sunset come much later. Sunrise is after 8 AM and sunset about 6 PM. A typical day here on the desert is spent: surfing the Internet in the morning to catch-up on the blogs of our travel friends, eat breakfast, take Raider for his desert walk, stand around and talk to the other MOCers about who is due in today, eat lunch, go to town to shop for RV stuff, beads, beads and more beads, or spend the afternoon sitting in the sun catching up with whomever is the most recent arrival to the MOC circle. As I wrote earlier happy hour in El Centro started at 4 PM since the sunset so early. Here at Quartzsite because so many of us feel like we are still on “California time” happy hour starts at 4 PM and continues until sunset at 6 PM. Then most return to their trailers for dinner and reconvene at 7 PM for campfire time until 10 PM or later. Yes, this retired life can be exhausting. You guys have it made!!! 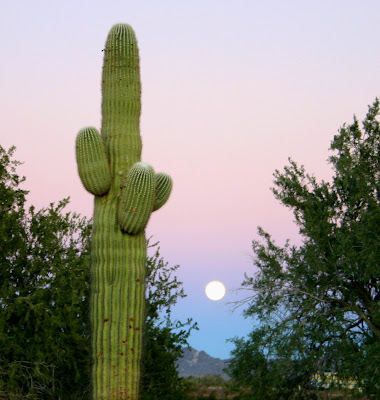 Beautiful picture of the perigee moon and cactus. Kath, I have on my Labrodorite earrings-WOOF WOOF!!! You must just be across the way from us. We're here with the Alpine Coach Association Rally which ends tomorrow morning. Fun to read your impressions!